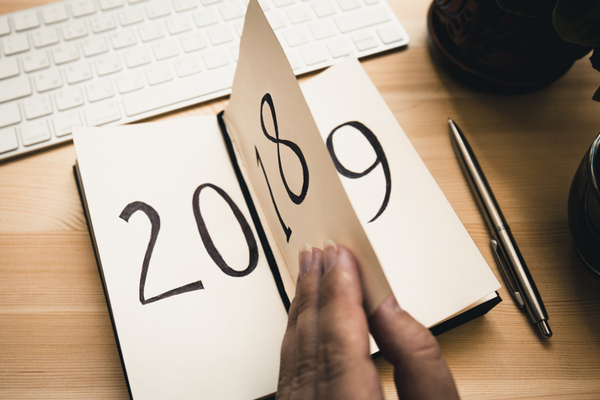 As the first month of the year draws to a close, 2019 is set to be one of great importance for the Transformative Innovation Policy Consortium (TIPC). In March, the Consortium moves into its second year of core work and begins in-depth, concrete work in specific contexts with member countries. Alongside this, TIPC will continue to grow the global community for Transformative Innovation Policy (TIP) through new research platforms. The first half of this year sees the establishment of a global research network for TIP in collaboration with the European Forum for Studies of Policies for Research and Innovation (EU-SPRI). The second meeting of the Network will take place in Utrecht, Netherlands, on the 25 and 26 of February, and will involve participation from members of the Global Network for Economics of Learning, Innovation and Competence Building Systems (GLOBELICS), and the Sustainability Transitions Research Network (STRN). The purpose of this meeting is to further develop an inter-network dialogue on TIP and create a shared research agenda for Transformative Innovation. The Research Network will continue to work to the values of TIP, promoting collaborative, participatory research and co-creation of knowledge, and will be an important platform for knowledge production. 2019 sees a new generation of policymakers and researchers interested in the theory and practice of TIP. As such, the first TIPC training week takes place from 20-22 May, as part of the capacity building component of the TIPC core programme. Across three days, members and associates will come together – at the Science Policy Research Unit in the University of Sussex Business School, Brighton, UK – to learn about TIP and through this start to build a community of practice for transformative innovation policymaking and experimentation. Drawing on the values of TIPC, the training session will be participant-led with space for debate, discussion and exploration between peers. A key priority for 2019 will also be the development of the TIP Africa Hub which was launched last year with the joining of Ghana, Kenya and Senegal as part of a pilot programme with IDRC. Following on from their success we are exploring the development of Latin American and European hubs to co-create and share learning at a regional level. The hubs can act as a cluster for existing members and associates, enabling peer to peer learning and facilitate regional collaboration in order to co-create contextually relevant knowledge bases across similar geo-political environments. As we develop TIPC into year 2 we will continue with the four thematic TIPC areas: experimentation, evaluation, research & knowledge production, and capacity building. However, there will be a focused effort on making these themes more integrated. The TIPC team will also work individually with member and associate countries to design TIP programming according to specific contexts and priorities. Work has already begun in Sweden with Vinnova in order to explore evaluation and experimentation. In February, TIPC will take part in the first workshop of the new TIPC Africa hub which is focused on country reports and deciding on case studies to support the pilot work. It is also an opportunity to meet with the South African team to discuss possible policy experiments. In March, the team plan to meet with Norway to discuss priorities for TIP experimentation, and a TIPC delegation will revisit Mexico to begin work in collaboration with the British Council and CONACYT. This year will also see a focus on international lectures and learning, with the launch of our TIPC Global Lecture Series. Throughout the year, TIPC members and staff will be giving lectures on transformative innovation and sustainability transitions across the world. Upcoming lectures will feature on the TIPC website for those interested in attending. To kick off the series, Professor Johan Schot, TIPC Founder and Director, will be giving keynote lectures in Norway and Finland, with more expected to be announced soon. Looking towards the end of 2019, our third annual conference and engagement week will begin on 4 November hosted by Ingenio in Valencia, Spain. Following on from the success of the 2018 engagement week, TIPC members and associates will gather to reflect on and learn from the year’s progress, debate key issues within the TIP framework, and forge the way forward for the following year.